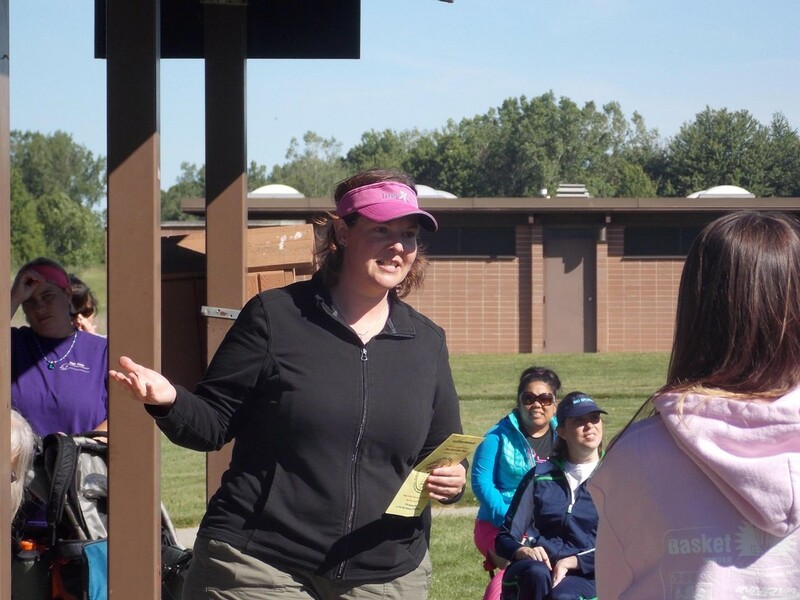 When we started Ladies First Disc Golf we decided that the first lady to place an order through our website would become the First Lady of Ladies First, we didn’t tell anyone of our plans. Well, not only were we lucky but we were also honored that Erin Oakley a great ambassador for women’s disc golf decided to be our first customer. We want to share the good work that many disc golfers do out of there own love for the game and we want to share this with you by interviewing them with 10 various questions. We are going to start with Erin, as she is our First Lady, we will choose a different lady each month of the year, but for now let’s get to know EO! 1.) 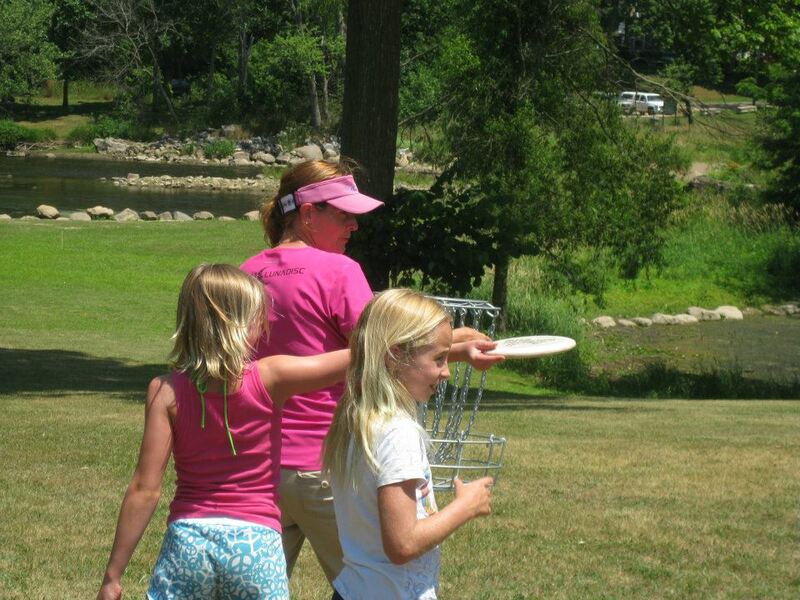 As First Lady what will your primary objective be in relation to ladies disc golf? My ultimate goal is really to share my love and passion for the sport with others. I have run a ladies disc golf league (Trip C’s in Lansing, MI) for 10 years now and have met some amazing women because of it. It is not only a round of disc golf, but an out for these women to have a night with other women and play disc golf in a casual or competitive way. Working with the PDGA Women’s Committee for a few years and running my league, has made me grow in a way I could never have imagined as a person and a player. I take huge pride in both. 2.) How long have you been preparing for this role? 3.) 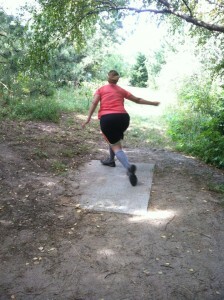 What compelled you to become the First Lady of Ladies First Disc Golf? haha, I had no idea of the title. I thought I would buy some minis to give out at my women’s league and at the same time, help a friend out because the company idea is so great and supportive of helping the sport grow. 4.) As First Lady do you have any thoughts on getting kids out to the courses? Because I have 2 of mine, just don’t force it. My almost 12 year old will play women’s league once in a while, but it’s only to get time away from her little sister I am sure:) So I don’t force it on her, maybe some day she’ll like it again. Having their friends tag along helps get them out. Make it fun and non competitive. 5.) Are there any tools you like to use on the course to improve your game? If so, what are they specifically? 6.) If you could choose a song to be played when you are teeing off, what song would that be? 7.) What is a long term dream you have as First Lady? 8.) Many First Ladies are known for their style, as First Lady what is your preferred wardrobe on the course? I tend to go with what is comfortable, mainly shorts and a dri-fit. But in fall I love pants and long sleeves. 9.) If you could make an official animal for disc golf what would it be? 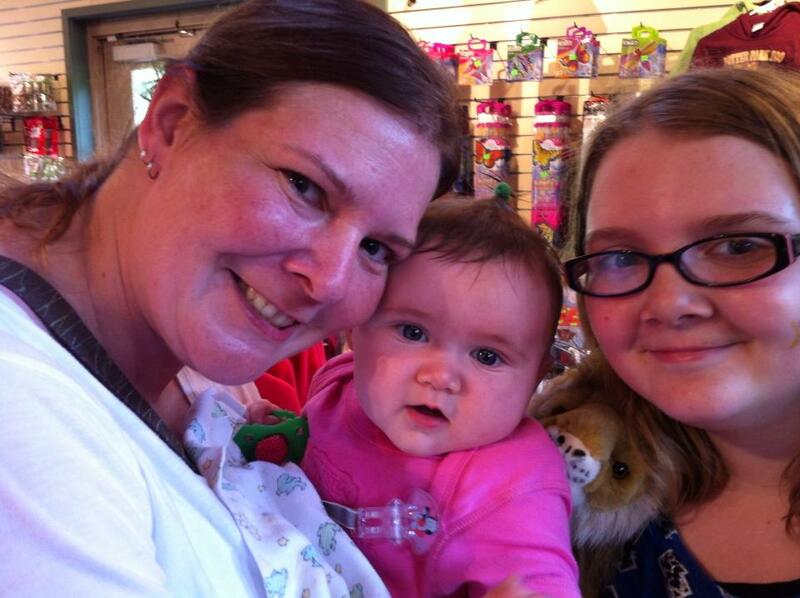 How about that Rainbow, Kitty, Unicorn animal. We can call it a Rakicorn. 10.) Lastly a very important question if you could choose an official beer of disc golf chosen by the First Lady, which would you pick?